It is a fabulous home that is ready for a new family. Located at 136 Sunset Close in Cochrane, Alberta, the home is a perfect blend of Location + Value + Lifestyle. Just 30 MINUTES to downtown Calgary & about an hour to the mountains. Cochrane has that small-town charm and it's just close enough to the big city! 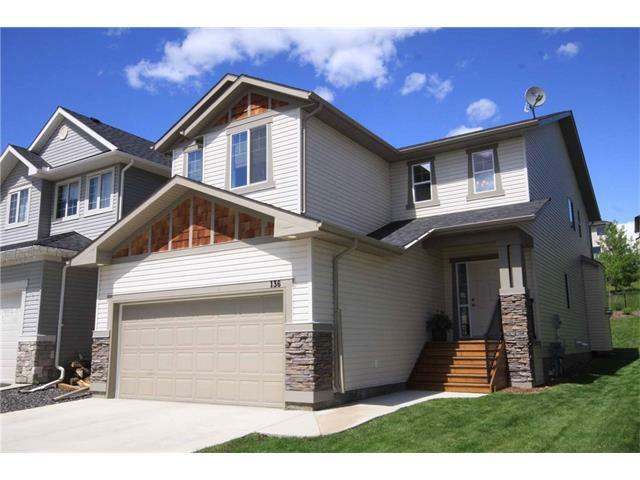 A bright, MOVE-IN READY Calbridge-built home of 2,400+ square feet. Quality upgrades like easy maintenance - and pet friendly - ceramic tile throughout most of the main floor, a main floor home office, walk-thru pantry & laundry area, an over-sized patio door and a large granite island are features of this newer home. See FLOOR PLAN in photos. Plush carpeting in the living room & throughout the 2nd floor. SPACIOUS bedrooms & walk-in closet. BONUS ROOM + added FLEX area upstairs. Ensuite bath has soaker tub & separate shower enclosure. Fully-fenced yard backs onto green space & walking path and trees provide lots of privacy. INSULATED, DOUBLE GARAGE. Unspoiled basement has large windows, roughed-in plumbing, high-efficiency mechanicals to one side - a well-designed blank canvas with a high ceiling. Here is the link to the full listing details including the floor plan, 4 dozen photos and location map: Click here. Check out all the listings currently available for sale in Sunset Ridge and you'll quickly realize the VALUE that this home presents. Here is a direct link to all the homes for sale in Sunset Ridge: Click here. DARE TO COMPARE -- I noticed earlier this week that the listings for about 10% of these homes are set to expire this week. That's why we've priced it right!